BERKELEY, CA -- Goats have gone wild! Take a look at this video posted by Berkeley Lab on Facebook. 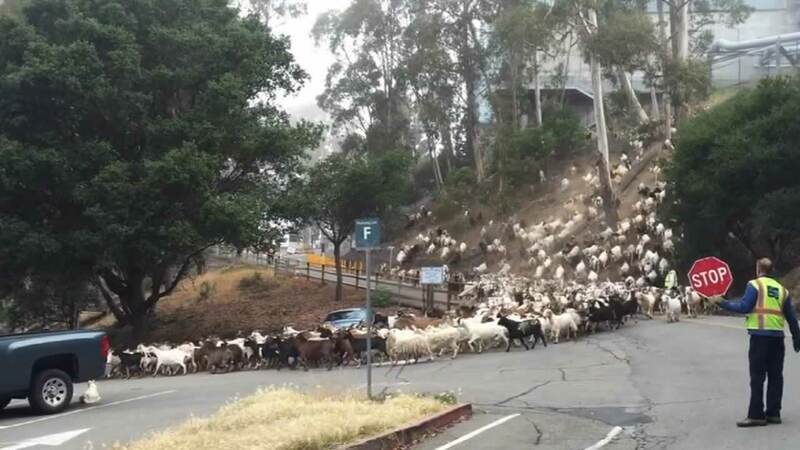 An entire herd of goats were released in the Berkeley Hills in order to reduce fire hazards in response to the drought. Lab employee David Stein shot the video. The goats are natural lawn mowers, eating about 10 pounds of vegetation per day, leaving less dry grass that can burn.